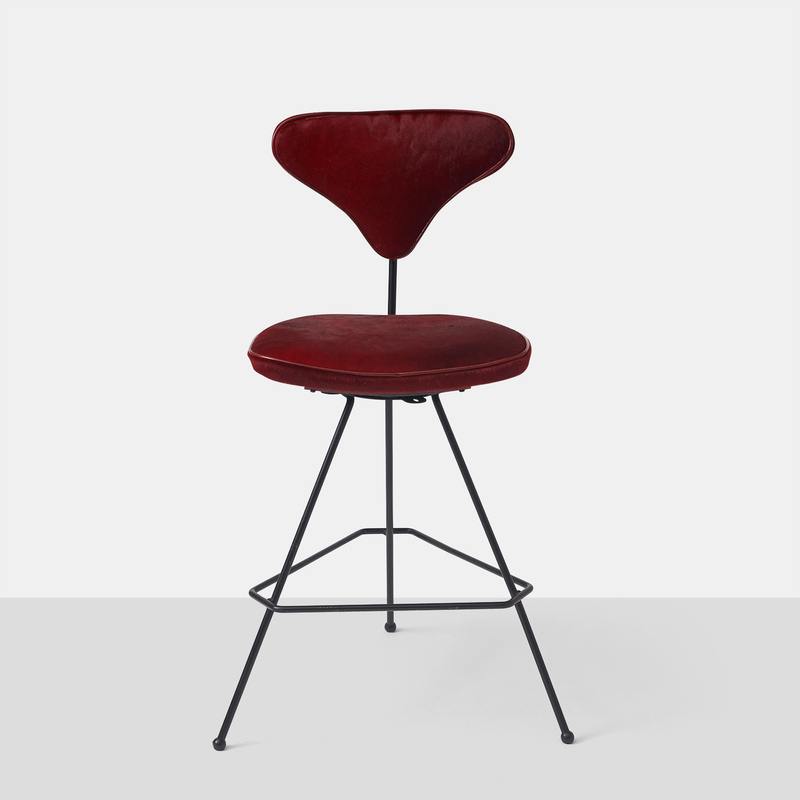 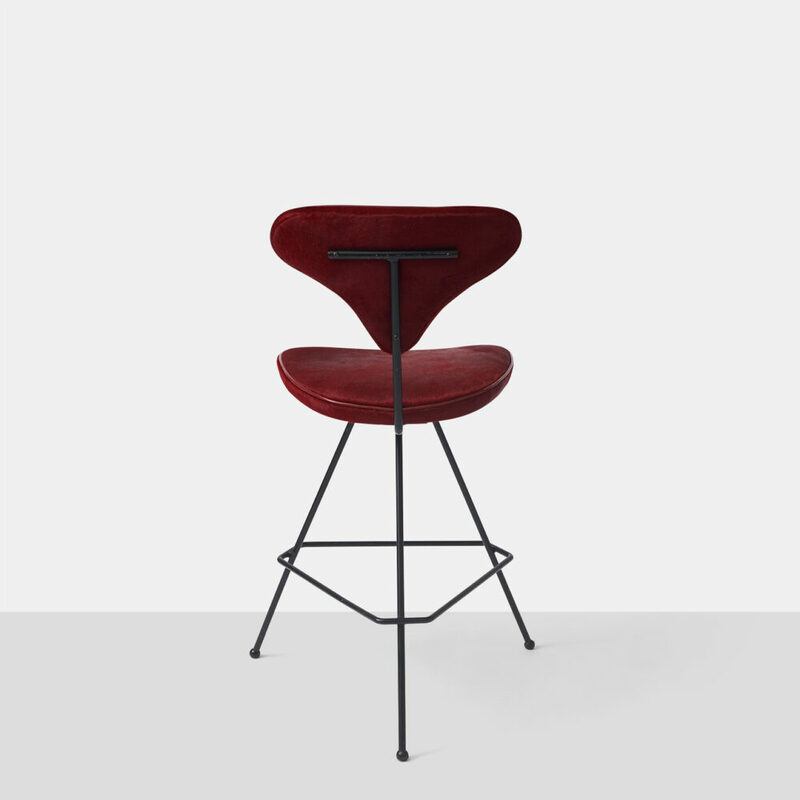 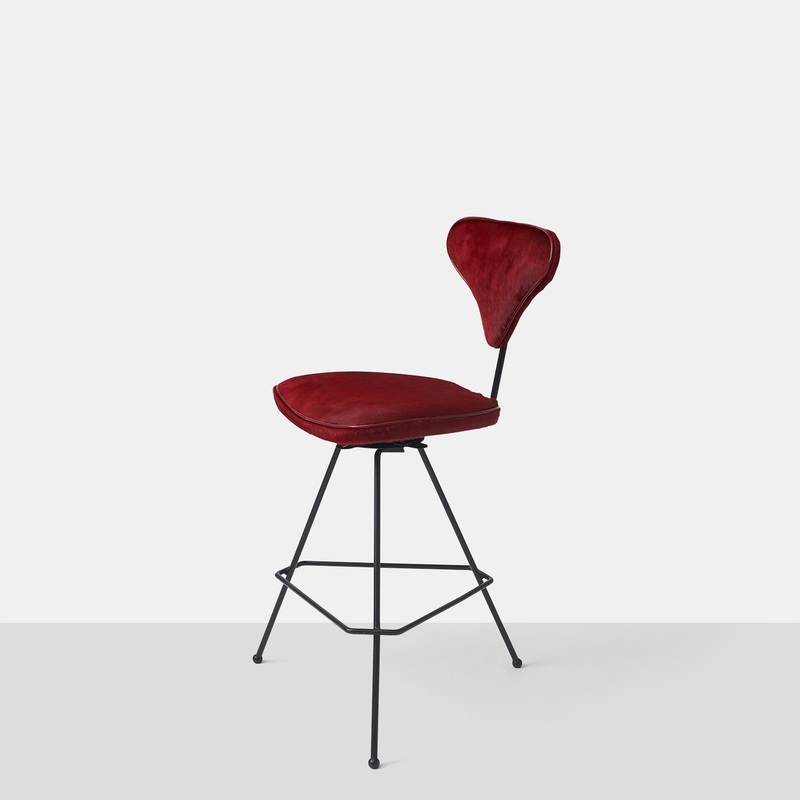 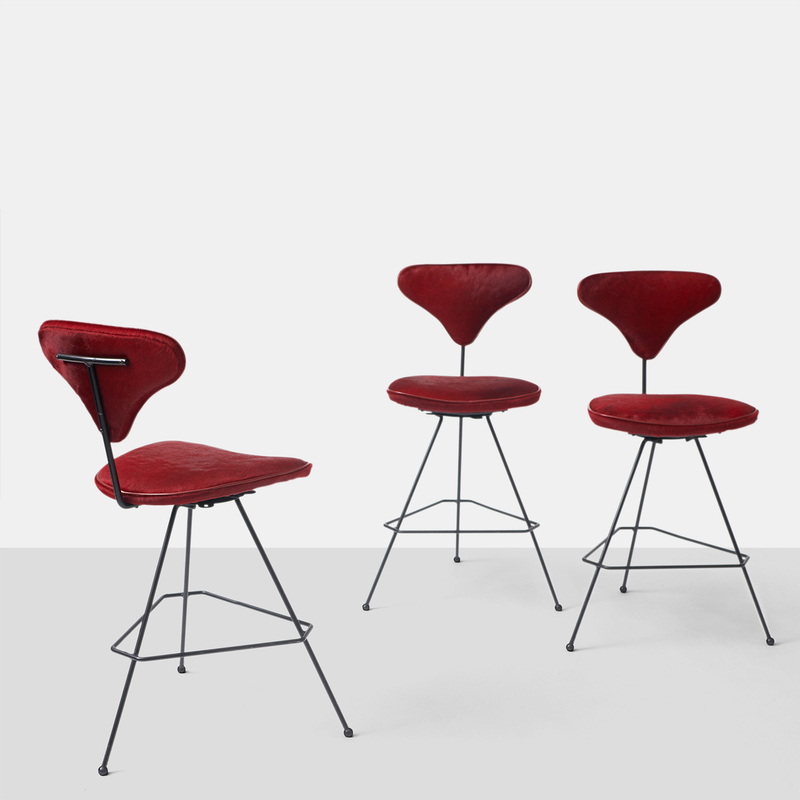 A group of three bar stools with a swivel base and black iron frame. 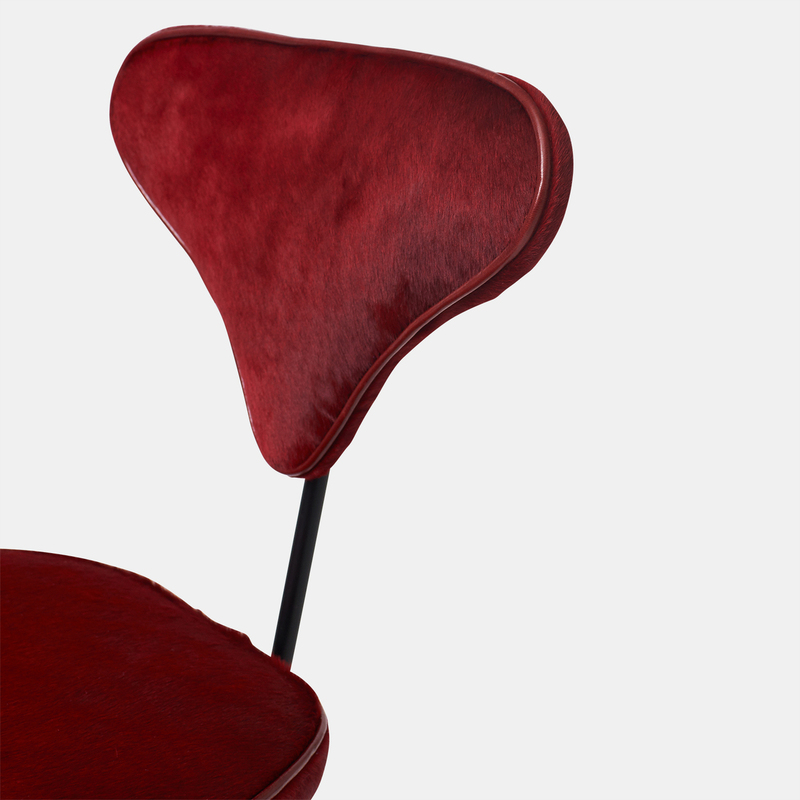 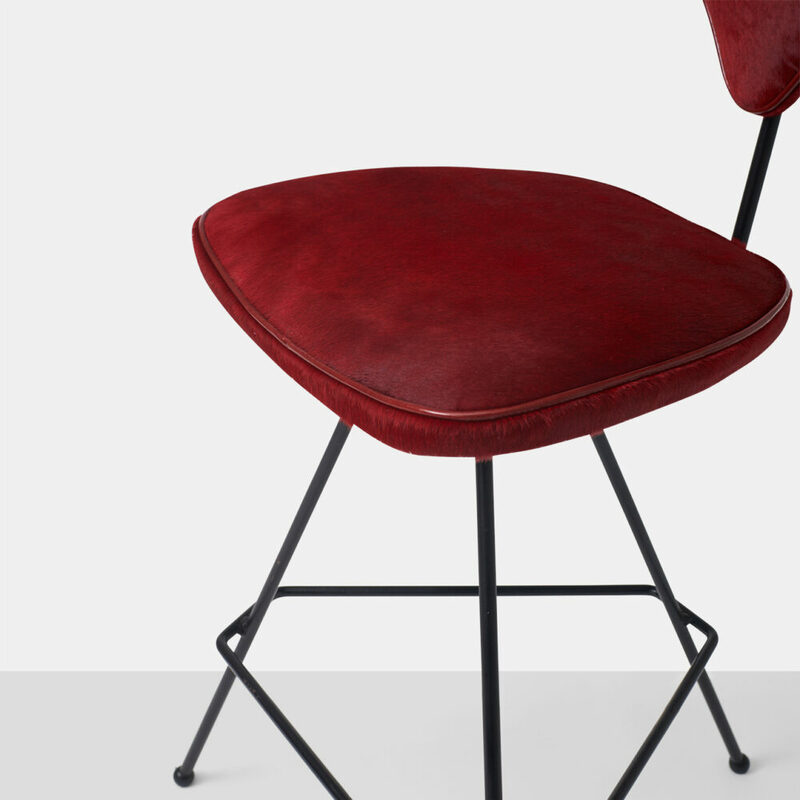 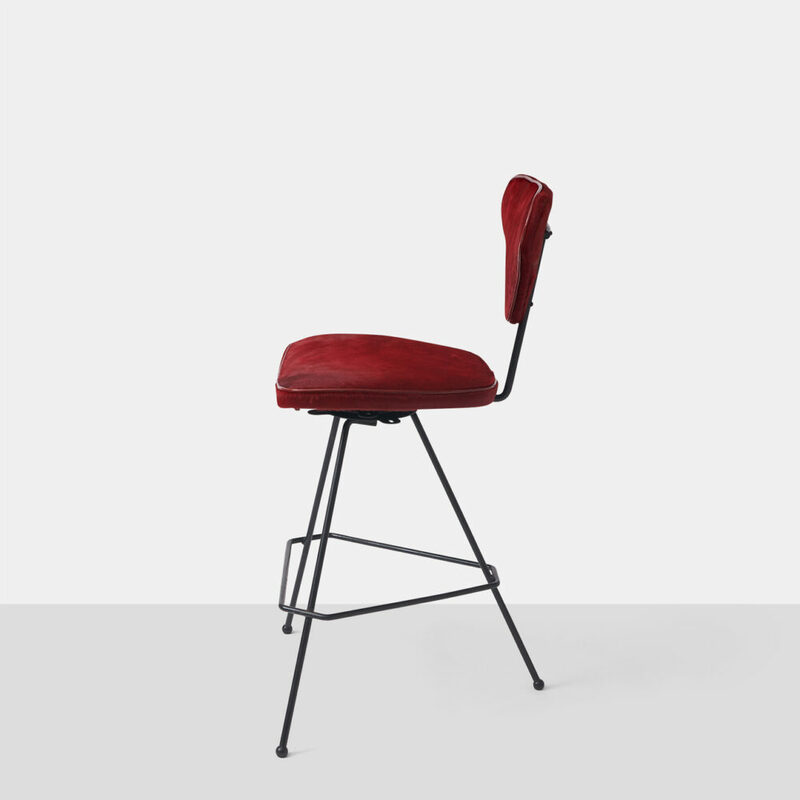 The seat and back have been upholstered in a red hair on hide with red leather trim. The stools were made for Elton in 1950.